Japanese food is very different, very healthy and of course, very delicious. Their cuisine is unlike the rest of the world and the way it is served and prepared is also unique. Japans staple diet is rice (gohan), and they eat it with almost every meal. Apart from rice, staples include noodle such as Udon or Soba. Noodles are a great dish to eat while in Japan and are also quite cheap. Also foreign foods are very popular in Japan. 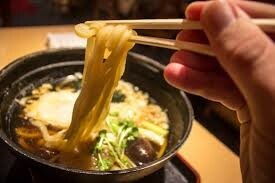 Some of the foreign foods include Ramen (chinese) and western food such as hamburgers and curries. The Japanese are very healthy and clean eaters despite being home to an incredible range of snack-foods. Their food is served neatly and the rice is always in a separate small bowl. Their staple diet is rice but other staples include noodles such as udon or soba. When in Japan it is a good idea to eat soba/udon because it's delicious AND relatively affordable. Often the foods are separated from eachother and on separate dishes or in the case of obento (boxed lunches) in separate compartments. 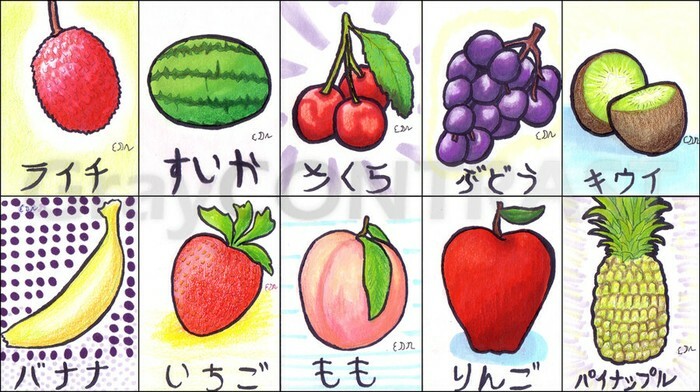 In Japan they are very lucky to have a broad range of fruit and vegetables throughout the year. The Japanese know what time of year to harvest certain crops but if a crop ripens early they call it hashiri. e.g Bamboo shoots in Spring and chestnuts in Autumn.